The Fayette County Choral Society will be presenting a sacred concert on Sunday, April 7, featuring the “Requiem” by contemporary composer, Mark Hayes. The concert will be held at Grace United Methodist Church in Washington Court House beginning at 4 p.m. The Choral Society — under the direction of Richard Glass and with accompanist David Penwell — will be joined by a chamber ensemble for this work. The second half of the concert will feature music selections from the Washington High School Symphonic Choir, the Grace United Methodist Church Chancel Choir, and the First Presbyterian Church Chancel Choir. All four of the groups will join forces for the concert finale singing two sacred choral classics: “Hark, I Hear the Harps Eternal” by Alice Parker and “When I Survey the Wondrous Cross” arranged by Gilbert Martin. The music of Mark Hayes is well known to church choirs and accompanists for over 30 years, as he has written more than 1,000 compositions for choirs and piano. 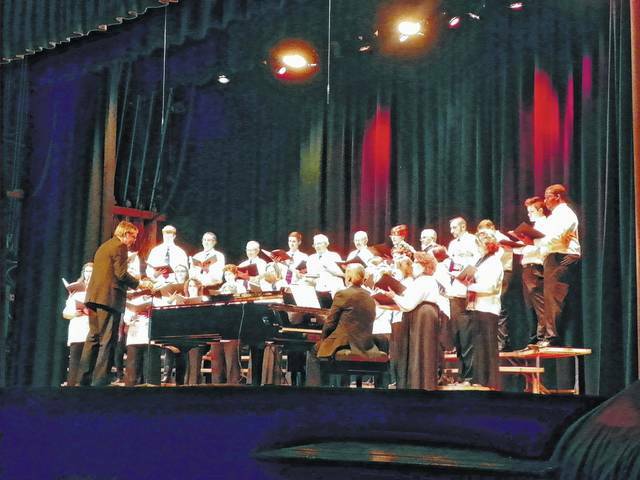 The Choral Society has been presenting choral concerts for the Fayette County community since 1975 and said they are excited to perform the Mark Hayes “Requiem” for the first time in Fayette County.